Can you put a library there? A question asked by many people looking at many spaces in many parts of the world. 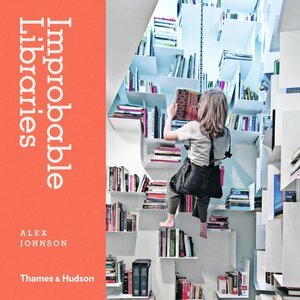 From train station convenience stores, to the back of elephants and camels, to red English phone booths, the book reveals some of the imaginative approaches to libraries around the globe. It would have been great if the book could have taken a broader look at the changing nature of libraries, taking into account digital developments and creative activates that are becoming so much a part of their life force. 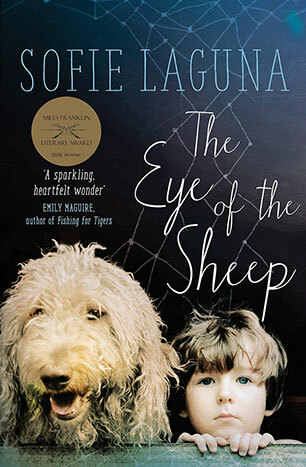 But the local colour it does focus on is enthusing and vibrant, from the necessity of the boat library in Laos, the humanity of the deaf library in Burundi, the playfulness of the Little Free Library in New York. But these are not simply novelty fodder for coffee tables books. These unlikely libraries serve real people in real communities, from commuters in Madrid to remote villagers in Mongolia. Encouraging and inspiring not just for librarians but for members of communities everywhere. 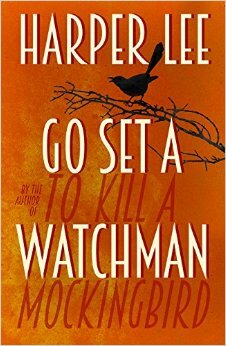 A John Le Carre adaptation starring, in his final role, Philip Seymour Hoffman. Günther Bachmann (Hoffman) leads a special espionage unit in Hamburg that gathers intelligence from the local Islamic community. He has been monitoring Dr. Faisal Abdullah (Homayoun Ershadi), a prominent figure in the community who works with many charities, suspecting him of financing extremist activities. His attentions are also on Issa Karpov (Grigoriy Dobrygin) a refugee who may be a potential terrorist. Through a web worthy of Le Carre’s status, Bachmann attempts to entangle Abdullah and Karpov. But as the flies are lured into the web Bachmann discovers that he too is in another’s web. Hoffman is superb as the damaged, drained Bachmann. Dishevelled and weighed down, he sees the importance of what he is doing, but is too battered to uphold any romanticism. His approach is based on compassion and a weariness of perpetuity, which he suspects of the hard and short sighted tactics of his American counterparts and some German colleagues. His pessimism is from a true, deep seated longing to “make the world a safer place” only to be confronted with his and others' insufficiencies. Not just for Hoffman fans, A Most Wanted Man is an unintentional yet eerily perfect swansong of a supreme actor. It’s a drama about 2 young boys who encounter Mud, a fugitive whom they decide to help. A murderer, Mud has bounty hunters after him. He sets up a plan to run away with the girl of his dreams with the help of the young boys. 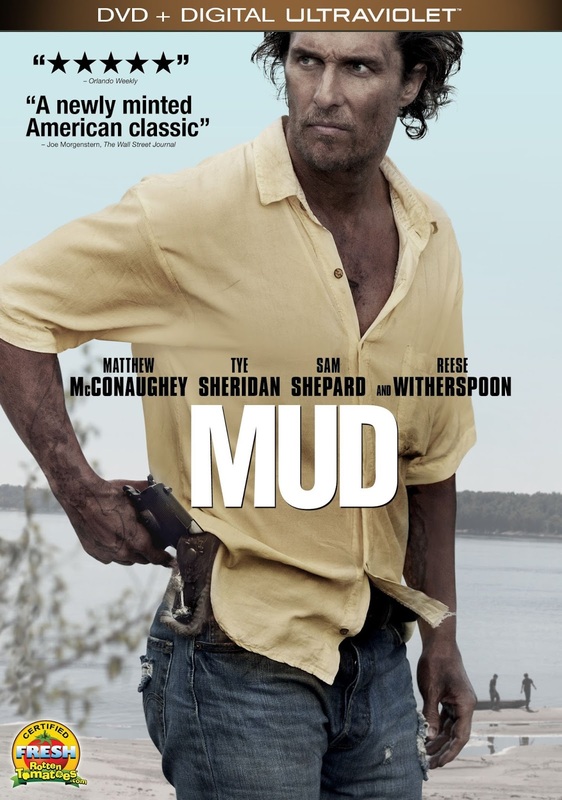 The movie Mud contains a number of different love stories some gritty and obsessive. It is also a coming of age movie. Superb acting by Matthew McConaughey and Reese Witherspoon. Rated M- Violence and Sexual references. 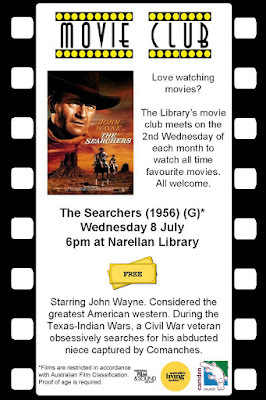 This month’s Movie Club screening is The Searchers. One of 14 collaborations between John Wayne and John Ford, the film has gone on to gain critical acclaim, often considered one of the greatest westerns of all time. Ethan Edwards is a Civil War veteran who fought on the side of the Confederacy. After returning to his brother’s home in Texas they are attacked by a Comanche raiding party. The only survivor is his niece who has been taken, and Edwards embarks on a five year long journey to save them. Edwards is obsessive, unrelenting, and flawed. The motives for his unending search are less to bring his niece back to civilisation than to remove her from the clutches of the Comaches, even if that means killing her. At the heart of the film is Ford’s look at the role of race in the development of the American West and the Western film genre to which he made significant contributions. This has led the film to gain a reputation as a revisionist Western. But the question remains if its actual intention came through or if it is simply another addition to a genre that is so based on and so enthralled in the conflict between white settlers and native Americans. Either way it is a technically stunning piece of cinematography from a master director as well as having a lot going on in its reels. 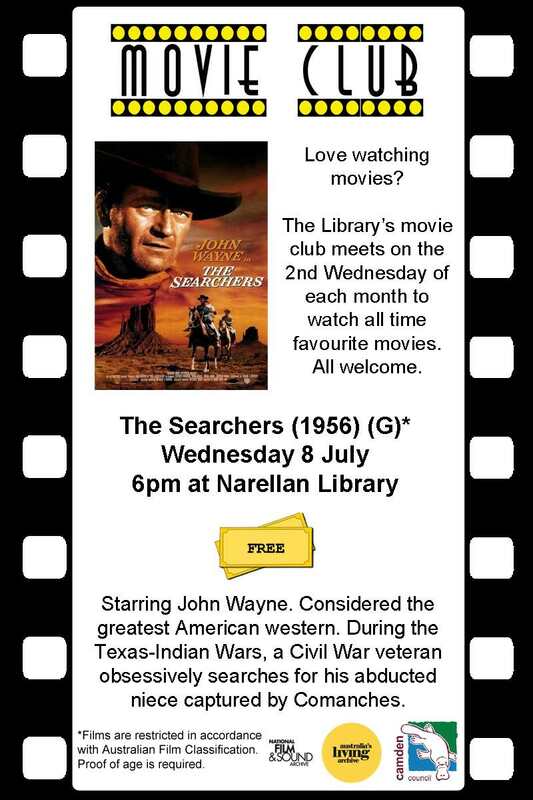 The screening will be Wednesday 8 July at 6pm at Narellan Library with a discussion about all the ideas and depictions afterwards. Share your thoughts or use the discussion questions to get a debate going.